Google is the only one of these four that allows you to get POI info asfter simply selecting it on a map. Tests to see if Google's "My Maps" can do some of the POI import functions that S&T has. Would need an internet connection to use it though, and can't built a route with multiple stops directly from it either. Tried importing a few POI factory .csv POI files. Got error messages on some (apparently minor problems with names having invalid characters or exceeding maximum length allowed by My Maps - evidently 64 characters). 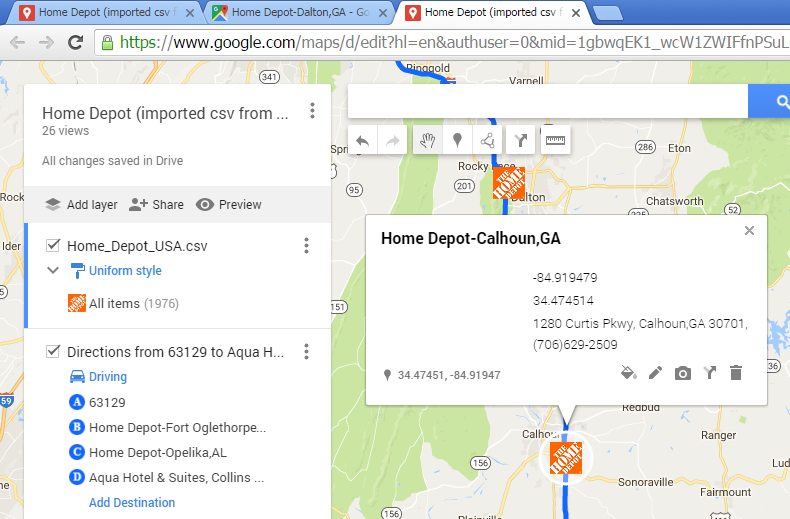 But google My Maps imported the Home Depot POI file without any problem. "You can upload a .jpg, .png, .bmp, or .gif file of any size. My Maps will scale the icon to the right size, which is 32x32 pixels"
Here's the drawback to google's "My Maps"
While Google My Maps has made some improvements (such as more layers and Drive integration), there are some notable limitations. 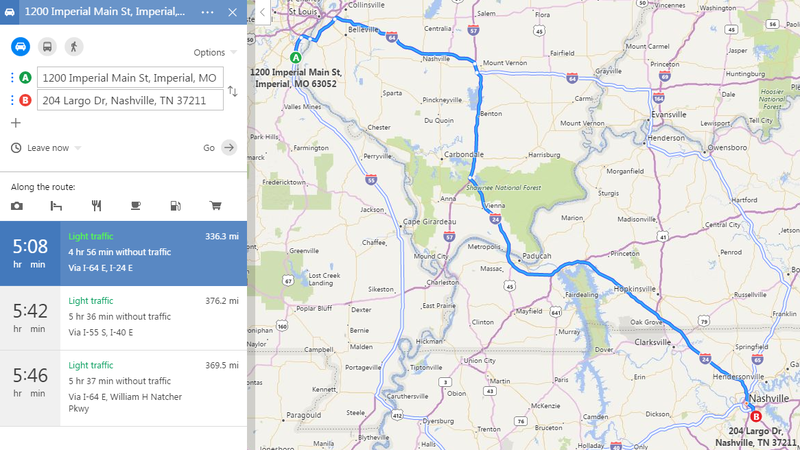 Limited Driving Directions Points: Only 10 points can be added to each directions layer. 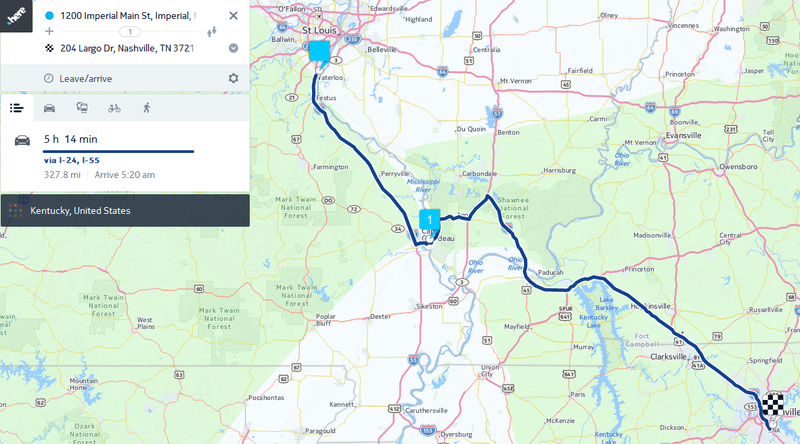 For long trips this might mean you need multiple directions layers or even multiple maps (with specific sections). No Turn-by-Turn Navigation: At this point there isn't any support for turning a My Map into turn-by-turn directions while on the road. You can access your maps on Android and iOS, but only for big picture planning purposes. 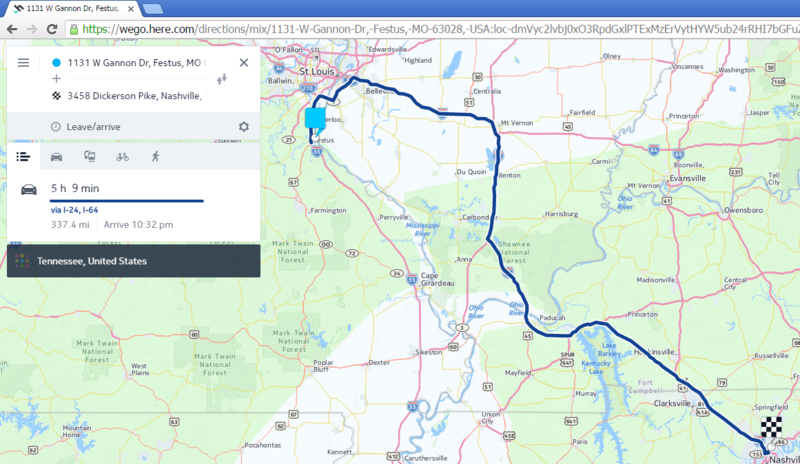 Mobile Navigation using a saved My Maps map? "No, it is not possible to navigate any type of custom directions on Google Maps and My Maps. Google has never explained why they do not implement this feature." A "My Maps" map can be opened from the "Your Places" menu in google.com/maps (or the GoogleMaps app). You can choose any place on a "My Map" to be used as the start or end, but after that, you can't get back to the map shown above. Effectively, "My Maps" maps with multi-point routes can only be used for navigation by choosing the points one at a time. 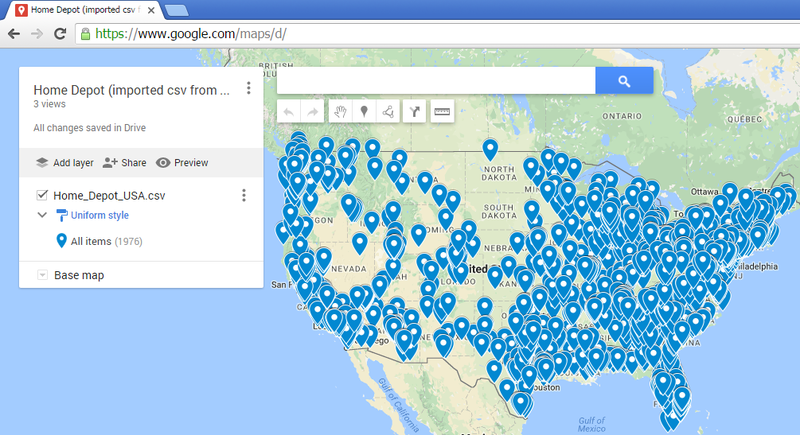 https://support.google.com/mymaps/answer/3502610?hl=en...but we don't want a directions list. 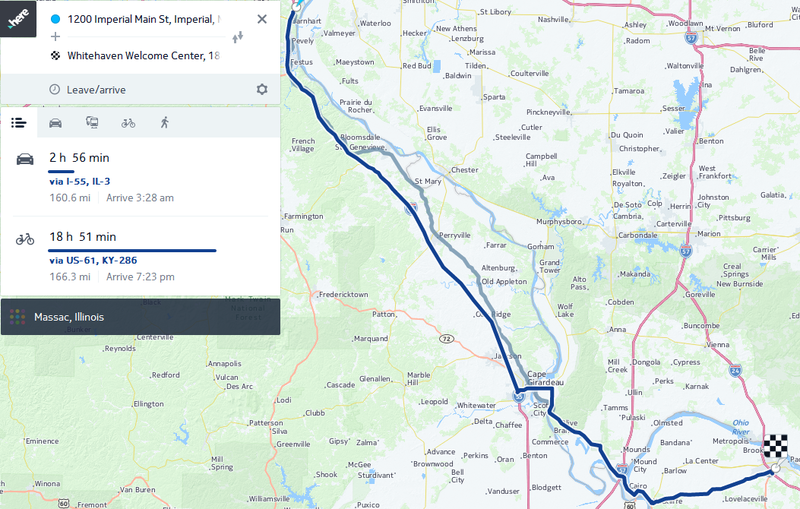 So it appears that the easiest way to get a route created in MyMaps into the route builder in google.com/maps is to copy the names of each stop into the route builder. 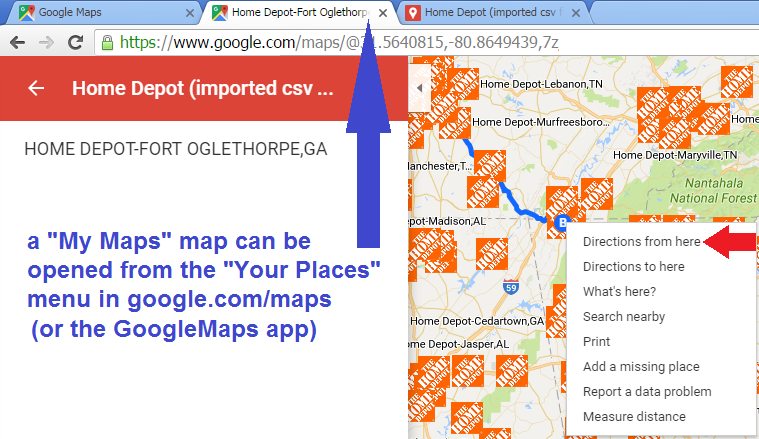 This is another look at the map I imported the Home Depot POI .csv into (they're turned off in this screencap). 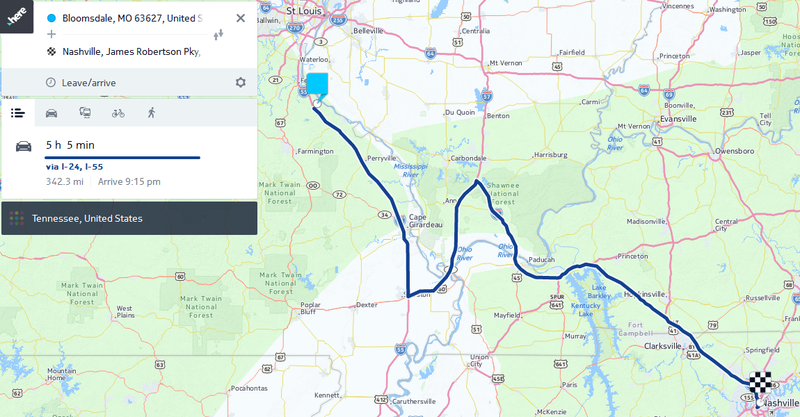 I created a test route between St. Louis & Miami, with two intermediary stops. 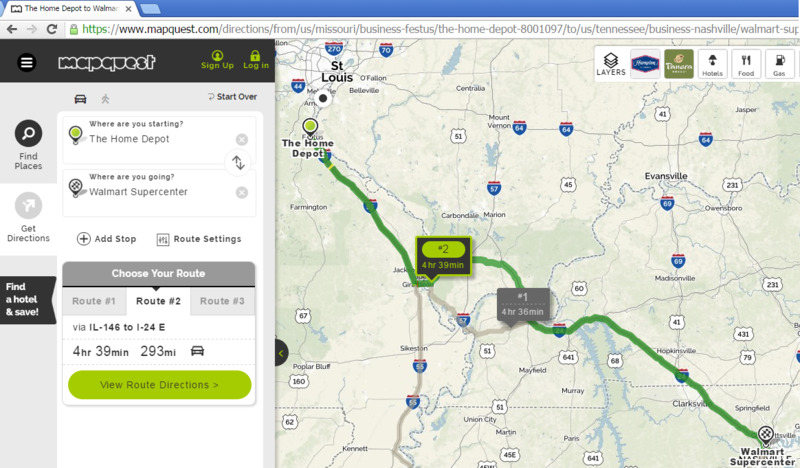 One downside of this approach is that it won't include any custom via points added in MyMaps. (I presumed those were stops, but now i think they're just waypoints). ...selecting a POI causes the flag to pop up. But the only way to get a POI chosen here into the normal googlemaps route builder is to copy & paste the name, address or coordinates. 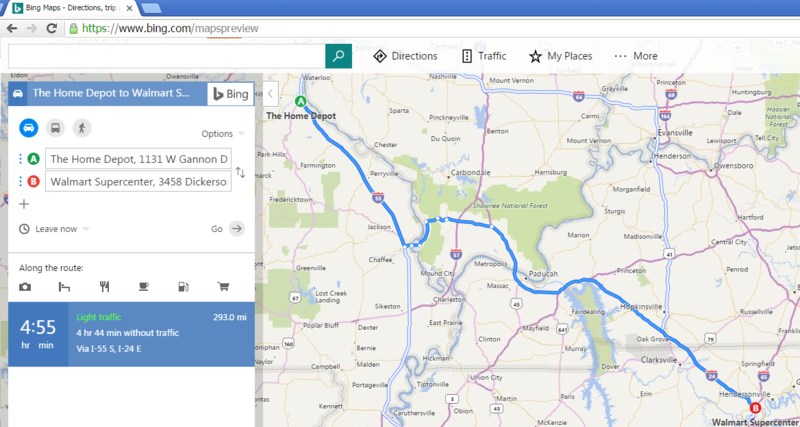 Since google hasn't made it as easy as they could to make places & routes built in "MyMaps" transfer more easily to the normal googlemaps, there is one good side effect: Since you have to copy & paste, the "paste" part can also be into something entirely different... like Bing Maps! This is another example, with three different POI sets visible. Home Depot & Five Guys use custom imported logo icons, and the rest areas use on of the built-in icons. (not surprisingly, saving the area offline makes no difference). 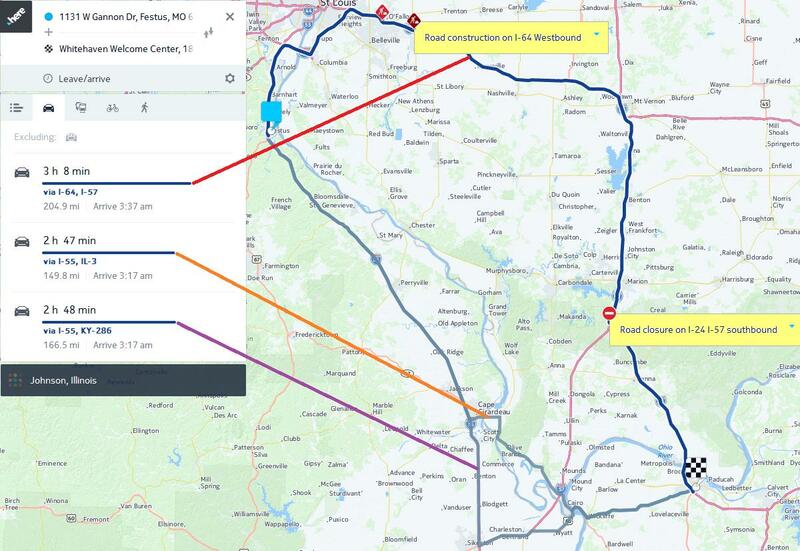 A comparison of how four mapping sites and Streets & Trips 2013 handle an intentionally difficult route. This has been one of my test routes for quite a while. S&T2013 still doesn't quite get this right. 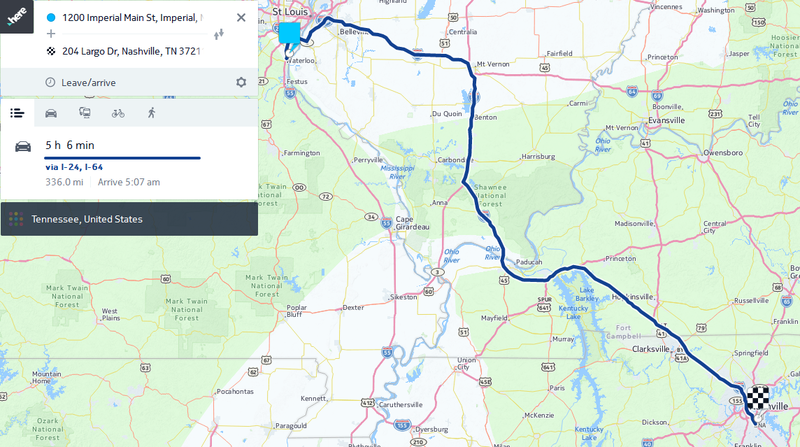 While almost any POI in Paducah, KY would be OK, the Whitehaven Welcome Center was chosen because it is as close as possible to the interstate highway that continues on to the subsequent destinations. Even S&T now finds the Whitehaven Welcome Center as a named place. 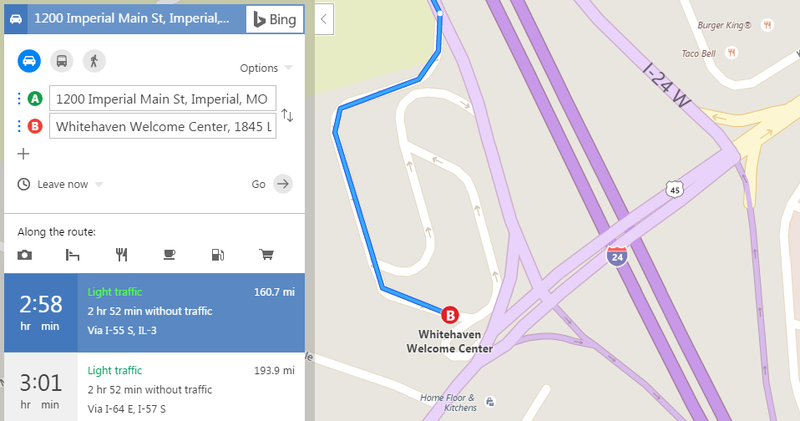 But as you can see in the screen caps below, only BING MAPS directs you to the correct exit. If you were just following their instructions of all the others, you'd miss the exit. True, in this case, there's another entrance after the first one, but that's not always the case. 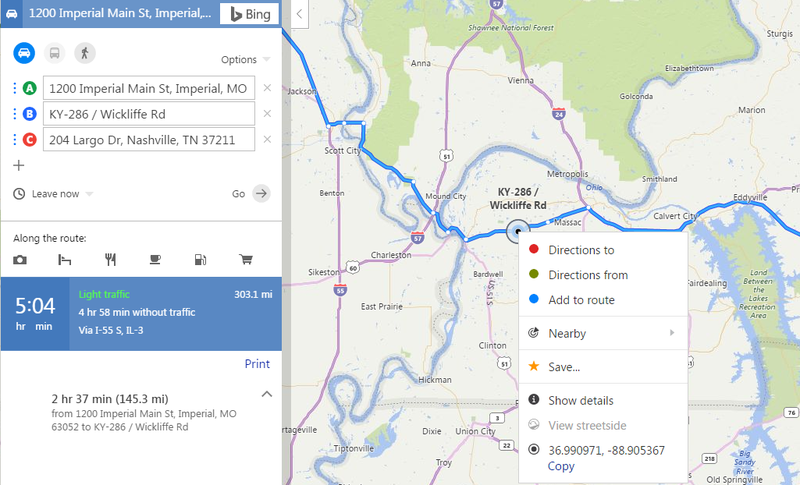 WINNER: bing.com/maps - It found the correct exit. But it was a LOT easier to fix. And Bing also has a feature that allows points like this to be added to the list (though not differentiated from actual stops). 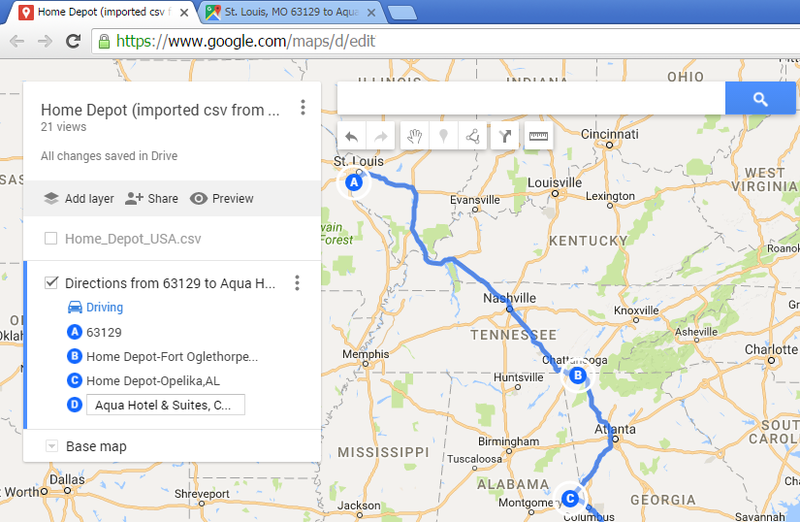 Google's "MyMaps" can import POI data from spreadsheets in .csv & other file formats. 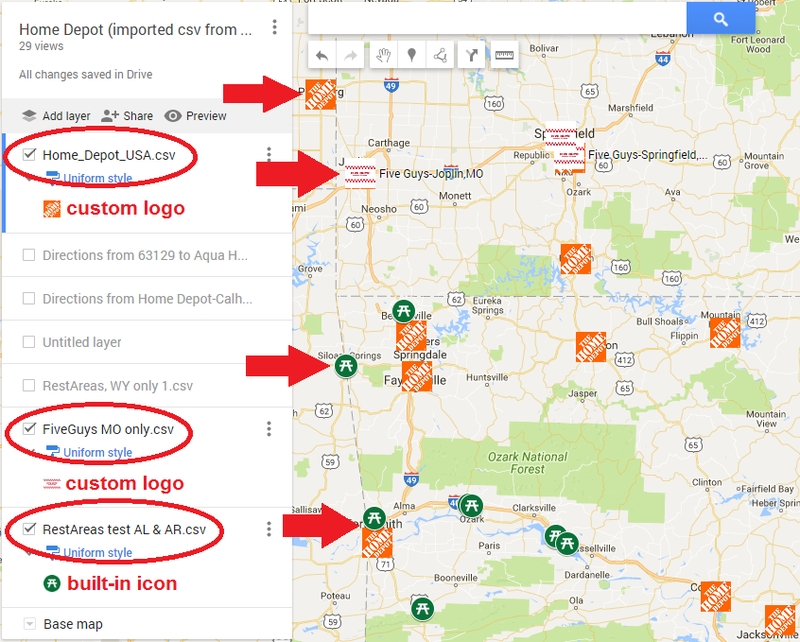 Google's "MyMaps" can assign one of an assortment of built-in colors and/or icons. 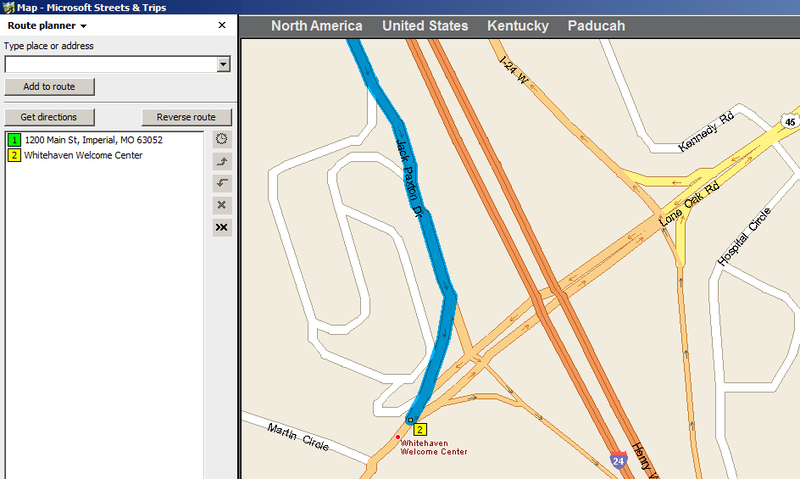 "MyMaps"has many more built-in icons & colors than S&T; both can import images for use as map icons. 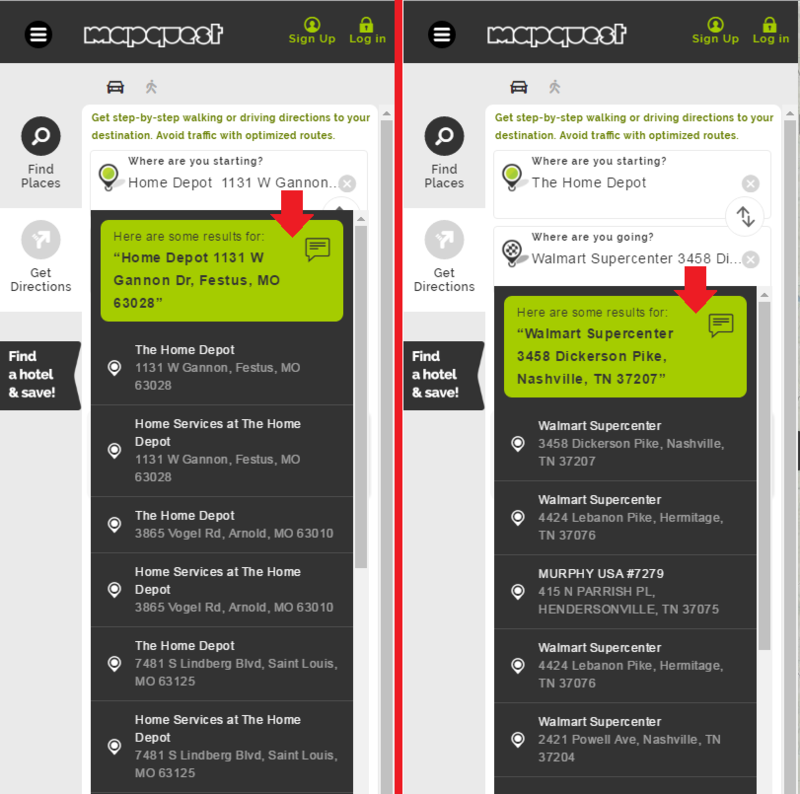 Neither Google's "MyMaps" nor S&T adjust the size of POI icons according to zoom level, which results in gigantic icons when zoomed out (see screen caps below). But "MyMaps" informational flags can only be shown one-by-one (S&T allows all at once). S&T also allows much more information to be shown on the info flag than "MyMaps"
"MyMaps" can import 32x32 pixel images for icons, SMALLER than S&T2013, which supports 128x128 pixel images. Although 32x32 is large enough most in most cases, sometimes larger icons (though maybe not 128 pixels, but it's nice to have that capability) are useful, so S&T has the advantage here (see screen caps below: S&T "Pilot" icons are 128 pixels wide, and this type of rectangular logo is where having more than 32 pixels helps). Places in Google's "MyMaps" be chosen in GoogleMaps as start or destination for navigation, but not for both start AND destination, nor for intermediate stops. S&T allows complete multi-stop routes to be built from imported places. 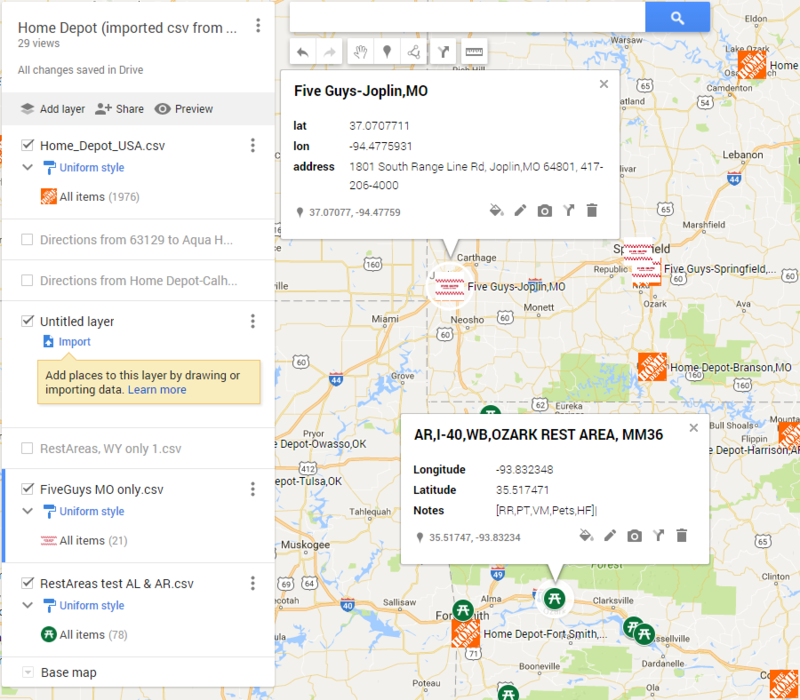 Google's "MyMaps" requires an internet connection to create new maps, make changes, or even to view existing maps. S&T does not. Routes that appear to be for navigation can be built in Google's "MyMaps" but they cannot actually be directly used for navigation in the GoogleMaps/Nav app. 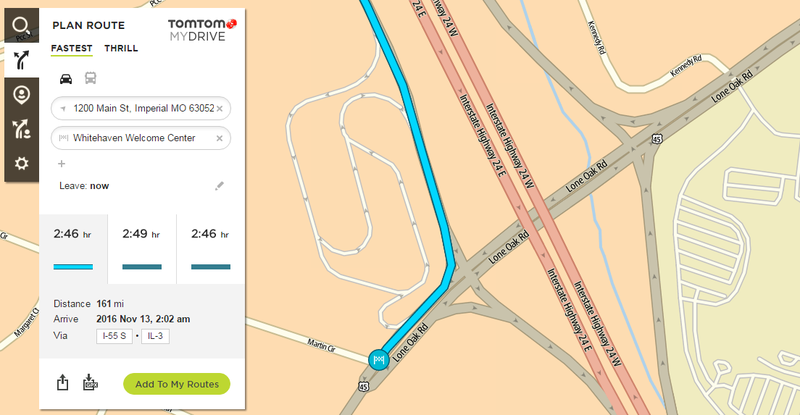 The closest "MyMaps" comes to making its routes useful for navigation is to display a list of driving directions. 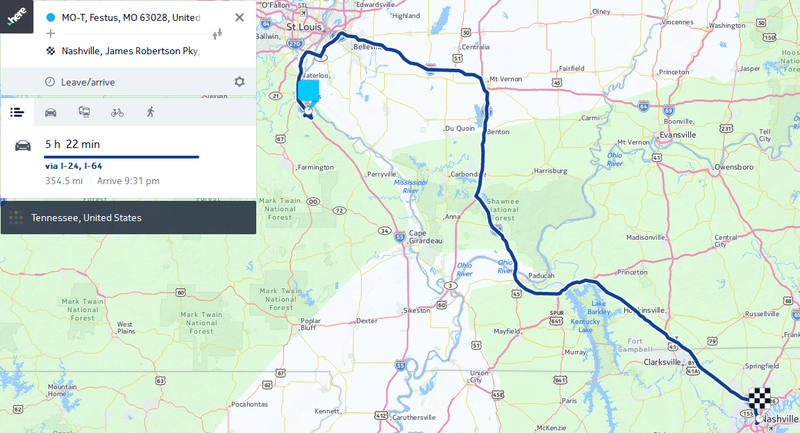 Have to move the start amazingly far to the south to force Here to come up with what starts out as the correct route (I-55 south), but not only does it miss the "shortcut" at Cape Giradeau (which is a forgiveable mistake) then look what happens after that! ...more about Here's actual routing in this test in the next post. ...and "Here" only gets worse from there (pun intended). 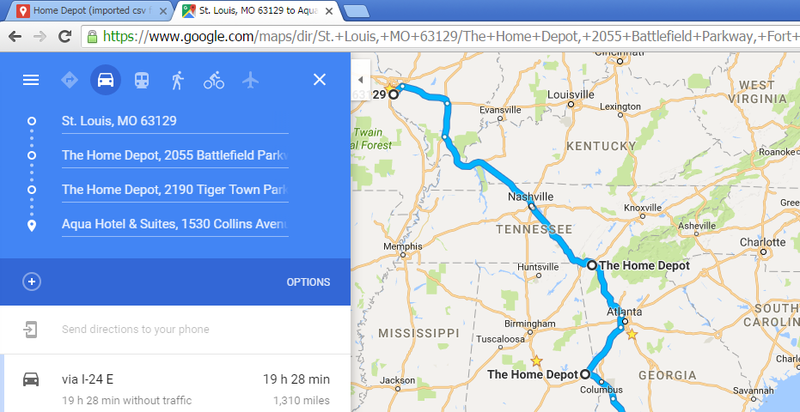 What if, instead of starting exactly from the Home Depot in Festus, MO, we start from a point just a few miles farther south? 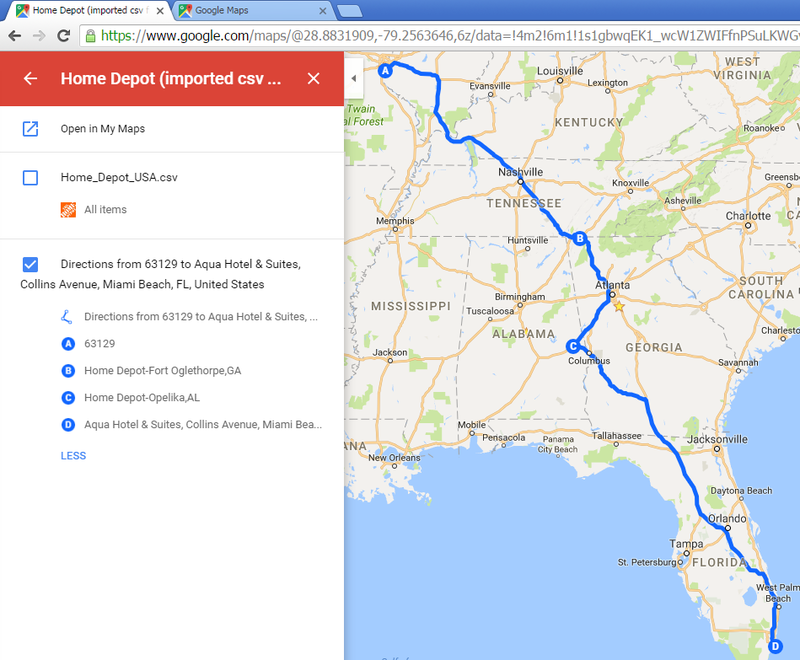 How does that stack up to google's default route? Very poorly! Here's route is 71 miles further (almost 26% further!) and 49 minutes slower! 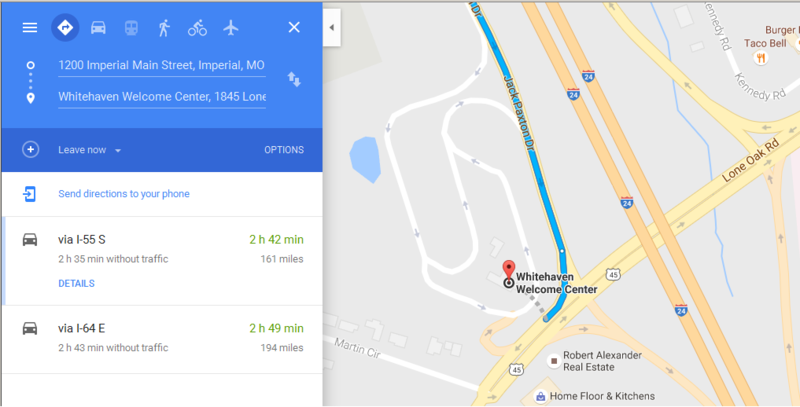 In a post above from a few days ago, there is a similar route that STOPS at the Whitehaven Welcome Center. 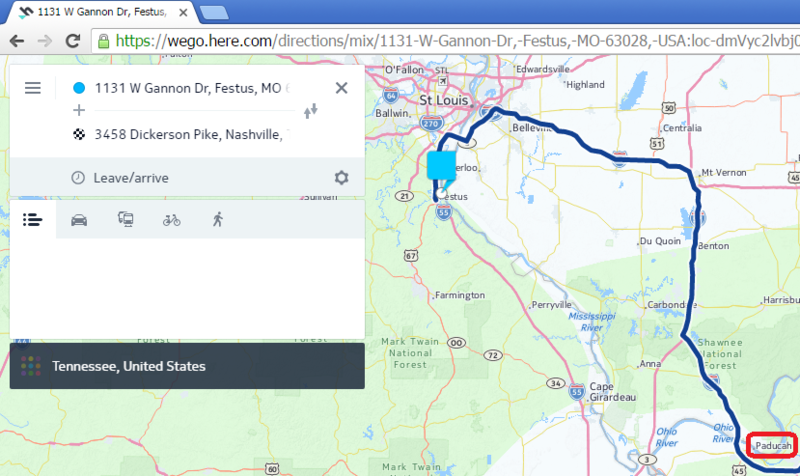 What if, instead of passing VERY close by the Whitehaven Welcome Center, we STOP right there on I-24? ...Not actually taking the exit to to the Whitehaven Welcome Center, but STOPPING on I-24, on EXACTLY the same route as shown above?